True prog metal here! 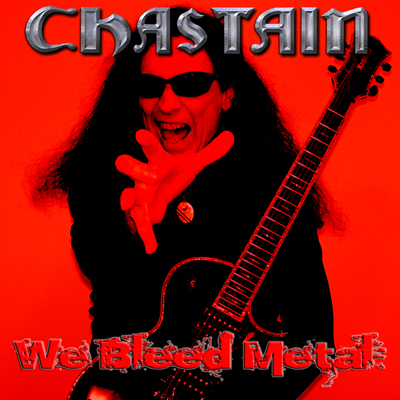 The big news is Chastain will release a new album in 2015, “We Bleed Metal”. The lineup is Leather Leone on vocals, David T. Chastain on guitars, Mike Skimmerhorn on bass and Stian Kristoffersen on drums. Watch the video below and let the roaring soul of Chastain’s vocalist, Leather Leone, penetrate and refine your soul! Today we sit with Chastain band at Art Rockin’ Magazine. Welcome to Art Rockin’ Magazine! The countdown to “We Bleed Metal” has begun! Could you please inform us about when we should expect it? David T. Chastain: There is no set release date at the moment. All of the music has been recorded. Leather is coming in to do the vocals in a few weeks. I assume the release date will either be May or October. Summer is usually a bad time to release a new Cd in the United States. I totally admire Chastain’s strong song structures. Could you please inform us about the composition process of We Bleed Metal? David T. Chastain: I constantly write music. As soon as I pickup a guitar new song ideas flow out. I literally can write a new album’s music in 1 hour. Now… whether someone will like it is a different story! 🙂 The lyrics and vocal melodies take much longer than the music. After writing at least 1000 songs, new melodies and lyrical ideas aren’t as flowing as the new music. So I usually demo up the music with me playing and singing everything with a drum machine. 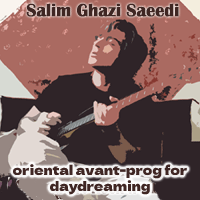 I send the demos around to the other musicians who in turn learn and expand upon what I have written. What has been your experience about the impact that your music style have had on society? David T. Chastain: I don’t really know. Numerous musicians tell us all the time that Chastain was a big influence on them. I have heard certain songs by other bands that sound eerily similar to something we released but that could just be coincidence. A few bands have covered our tracks… most notably Hammerfall recording the Chastain song “Angel of Mercy.” Some people are subconsciously influenced by music they hear whether they know it or not. That is one reason I listen to almost no metal music, I don’t want the influences seeping into my music. Could you please inform us about the recording process of the album? Where the recording takes place? David T. Chastain: I mentioned previously how everyone becomes acquainted with the music. The guitars and vocals are recorded here in my own studio in Atlanta, GA. The bass is recorded in Cincinnati, Ohio. The drums are recorded in Norway. The last Cd was mixed in Germany and once again Mastered at my own studio. I haven’t committed to the location of the next mix and mastering as I will have to see whom is available at that point in time. What are the themes in We Bleed Metal lyrics? Since your first album, Mystery of Illusion in 1985, what has been your experience in dealing with music industry and mainstream music? What changes you have witnessed? David T. Chastain: The internet, while wonderful, has basically destroyed the music business model we all grew up on. The rampant theft of music is out of control. For ever one song download we sell probably 20 are stolen. In the old days there were probably 100 metal albums released a year now there are probably more than that a month. I don’t tour but from most of the bands I talk with they say if the break even they consider themselves lucky. Of course the internet has provided an almost free way to promote one’s music so that has changed. The world changes and one has to change with it to exist as a viable entity. What label will release We Bleed Metal and in what formats (CD, download, etc.) we should expect it? David T. Chastain: We haven’t shopped the new Cd yet… or may not at all. Almost everything I release these days is on my own label Leviathan Records Worldwide. We have been in business for 30 years and at least I know I am not going to screw and/or cheat myself!! The business is full of crooks… or incompetents… or both so you have to be very careful with you do business. It is not an easy business for the naive or for someone who doesn’t like to hear the word “No” everyday. We plan on Cd and download formats for sure. Hopefully someone will release it on vinyl. Have you decided for the upcoming tour yet? David T. Chastain: Leather will definitely be doing dates in 2015. I prefer not to tour. I much prefer to stay in the studio writing and recording. My goal has always been recording. Touring is fun but…. it reduces your output of music significantly. However I never say “never.” If something comes up that I can’t resist maybe I will personally tour. With the release of our reunion Cd “Surrender To No One” we had tons of concert offers… however I didn’t want to go out and be an “oldies” band. So now with 2 new albums more new material can be incorporated into a set with the Chastain Classics! 9)Thanks for your time! Please feel free to share anything more to our readers.